“It looks like melanoma,” my dermatologist said casually as she biopsied a mysterious scar that had developed under my left temple. I was unmoved. 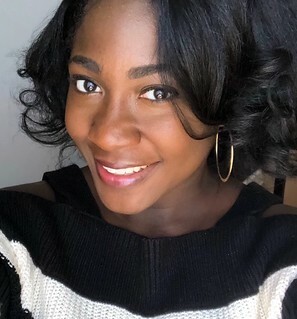 I cried when my hairdresser found a bald spot the size of a silver dollar in the middle of my scalp while roller-setting my tightly coiled curls a month before. I cried when I discovered another bald spot at the base of my scalp while detangling my hair days later. I cried when I smelled my flesh burning during painful laser treatments to resolve another mysterious scar that had formed on my nose. After crying for months over losing locks of curls and undergoing what turned out to be unnecessary laser therapy, I searched for tears to cry at the possibility of having skin cancer as the dermatologist traced the edges of the dark growth with her scalpel. I had no tears left. After nonchalantly suggesting that I might have cancer, she stitched me up and sent me on my way. My friends and family were concerned about my health. I, on the other hand, had just about given up. I was oddly relieved that a cancer diagnosis would at least be an end to the endless online searches for a name to my mix of symptoms. After the biopsy, my best friend called to check on me. Plainly, I told her that I would not mind if I went to sleep and never woke up. I was numb and did not think about how those words would land. Her voice broke as she asked me if there was anything she could do to help. “I’m good,” I said. I shrugged my shoulders, hung up the phone and hoped that the painless end I had imagined would come true. My stitches were removed, the results from the biopsy revealed that I did not have cancer and I found a new doctor who accurately diagnosed me with an autoimmune disease: discoid lupus. Discoid lupus is medically described as a skin condition in which sores appear on the face, scalp and arms and can cause alopecia. I describe it as my skin telling me that something’s wrong and I need to chill out. No one really knows what causes lupus. There’s no cure for it. Symptoms come and go, and triggers ranging from antibiotics to the common cold can cause a flare. My skin lashes out at me most when I am stressed. A lupus rash rings the alarm when my hours working outweigh the ones I spend living, when I let someone undeserving take up too much of my emotional real estate or when I do not take the time I need to recharge. Three years after my original diagnosis, I have modern medicine to thank for helping me regrow my hair and control my lupus flares, but I have therapy to thank for helping me prevent my symptoms from returning in the first place. Twice a month, my therapist and I come up with strategies for managing life’s inevitable ups and downs. We do intense work not only to analyze my feelings but also to plot out, step-by-step, how I can live the best version of my life. Of course, sitting on my therapist’s couch and venting did not cure my lupus, but working with her has helped me use what I once thought was a curse as a signal to make important changes in my life. To avoid lupus relapses, I regularly edit my life by dumping toxic relationships, establishing boundaries at work, and spending time in spaces where I am loved, celebrated and nurtured. When my skin acts out, I take immediate action to figure out what’s going wrong on the inside of my mind to help fix what’s happening on the outside of my body. I did not take my mental health seriously until my physical health was affected. I did not know just how strongly my body was tied to my emotional well-being. Truth is, before I noticed any lupus symptoms, alarms were going off all the time; I just did not hear them. Sleepless nights, recurrent headaches, anxious thoughts and panic attacks had become the norm. Through it all, I was maintaining an active social life and excelling at work. I had no idea that I had anxiety. High-functioning anxiety can be deceptive. For me, it looked like ambition, perfectionism or just everyday busyness. But underneath it all was tightness in my chest, constant worrying and fears that I just could not place. Going to therapy helped me put a name to what I was feeling, giving me the power to confront it, successfully manage it and eventually maximize my joy. For years my anxiety hid itself from everyone, including me. Now that it’s out of the shadows, I am, too. PHILADELPHIA — Today, the Opportunity Finance Network, with support from the Sam’s Club Giving Program, debuted Venturize, a new, nationwide campaign that gives small business owners access to clear, trustworthy loan information and powerful resources—no strings attached. Venturize is an easy-to-use, online platform with mobile-friendly resources and a loan comparison tool that offers small business owners the straightforward information they need to compare financing options and borrow with confidence. Venturize does not lend money, recommend loans, or accept advertising from lenders. Nearly 8 million small businesses in the U.S. are owned by people of color, and nearly 11.3 million women-owned small businesses help power our communities. But many of these entrepreneurs, particularly those 40 years of age and younger, struggle to obtain the credit needed to start their businesses and keep them running. Too often, they turn to a growing sector of online lenders whose “quick and easy” online loan products may disguise high interest rates, hidden fees, and other costly terms. Venturize is funded under Sam’s Club and the Sam’s Club Giving Program’s Small Business Economic Mobility initiative. Sam’s Club and the Sam’s Club Giving Program recently announced their continued commitment to small business owners— especially women, veterans, and small business owners of color—with $8.8 million in new grants. The grants were awarded to organizations dedicated to borrower education initiatives that ease access to capital, the top barrier to entry for many small businesses. Opportunity Finance Network (OFN) is the leading national network of community development financial institutions (CDFIs) investing in opportunities that benefit disinvested communities across America. Through 2014, OFN’s network originated over$42 billion in financing in urban, rural, and Native communities, with a cumulative net charge-off rate of less than 1 percent. For more information, visit ofn.org. WASHINGTON — Within minutes of the first reports that CENTCOM’s social media feeds had been taken over by hackers promoting ISIS, the General Services Administration was ordering a government-wide social media audit. Jackeline Stewart told BuzzFeed News. The CENTCOM hack was doubly embarrassing to the Obama administration, which was in the middle of a presidential speech on cybersecurity when the hack first appeared. The Pentagon, which has been conducting a military campaign against ISIS, saw CENTCOM’s social media channels converted into a propaganda tool for the enemy. The hack didn’t appear to do much real damage, according to the Pentagon. A Defense spokesperson told reporters the hack was a “cyber prank” that didn’t include any real compromising of classified data. For the rest of the federal government, the hack was an opportunity to re-evaluate social media protocols GSA has been trying to impose government-wide for years. GSA’s DigitalGov initiative — a portal site for government offices that use digital tools and social media — reposted anti-hacking guidelines and began tweeting about the hack shortly after it was discovered. CENTCOM, like many federal agencies, is not verified on Twitter. The lack of the signature blue checkmark raised eyebrows as news of the CENTCOM hack flew around social media. A representative for the company did not respond on the record to questions about CENTCOM’s verification status, and the Pentagon did not immediately respond to a request for comment. A report from the General Services Administration’s Office of Inspector General released last week revealed several physical information security concerns related to the agency’s open office space and management of devices and documents. GSA, however, said the vulnerabilities aren’t putting critical data and other sensitive information at as high a risk as the report might suggest. GSA recently renovated its central offices and changed to an open office design with hoteled workspace, leaving many workers sharing desks rather than using a permanent space. 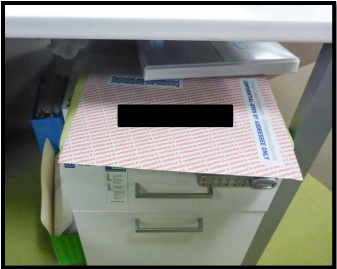 Because of this, the agency instituted a locker system for employees to secure valuable items and documents when they leave the office to prevent thefts. According to the report, GSA has also held several workshops on crime prevention and security in the new environment. Despite the prevention methods put in place, when the auditors entered the office, they easily found several items of interest. In cases where the items were not securable, they took them, leaving a note that said, “We identified unsecured sensitive information. Due to the sensitive nature of this information, we have taken possession of it to secure its privacy,” with contact information to retrieve them. 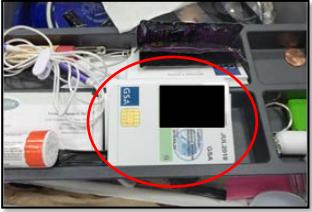 Items like an active HSPD-12 PIV card or a laptop could act as gateways to further information theft. The active PIV card “permits unrestricted physical access to the GSA Central Office building, and potentially any federal building,” the report says. And for the laptops, if the security is breached, the user could possibly access the computer’s direct contents or GSA networks. GSA spokeswoman Jackeline Stewart said while there have been actual issues of possible theft within the agency — five laptops have gone missing so far in 2014 — the agency is confident in its efforts to digitally secure the devices. Nevertheless, GSA said it isn’t taking the inspection lightly. The agency will work with the IG to address the issues in the report, Stewart said, and has already began developing a personal property course to reinforce the security protocol. The company operating the mammoth Ronald Reagan Building and International Trade Center won its contract through favoritism and was paid nearly $150,000 in fees for work primarily done by subcontractors, federal auditors said Tuesday. Trade Center Management Associates, which manages the building owned by the General Services Administration, improperly benefited during the 2008 procurement process because a GSA official gave the firm a more positive review of its past performance than was warranted, according to the GSA Office of Inspector General audit. The company has operated the Reagan building since 1995, three years before the structure opened, and was awarded a new contract in December 2008. The audit also faulted GSA’s Public Buildings Service for poorly overseeing the current contract, resulting in inflated costs that often benefitted Trade Center Management Associates. In one instance, auditors said, GSA lost nearly $900,000 in revenue because it failed to charge a restaurant in the Reagan building — owned by the same people who own Trade Center Management Associates — for maintaining a common area near the food court. In another instance, the Public Buildings Service, which acts as a landlord for the civilian federal government, improperly used $25,000 in federal funds for a 2009 holiday party in the building. The service could have saved $25,000 in room rent for a training course, due to a rent waiver in its contract with Trade Center Management Associates, but instead used the waiver to fund the party, auditors said. Ultimately, the audit concluded, the contract has contributed to financial issues at the Reagan building through “flawed oversight of the contractor’s performance, as well as increased costs, many of which should be the contractor’s responsibility.’’ It is unclear from the 29-page document how serious the financial issues are. “We are fully committed to making sure the Ronald Reagan Building and International Trade Center remains one of the hallmark venues in our nation’s capital,’’ the company added. The 3.1-million-square foot Reagan building, the district’s largest structure, is dedicated to the advancement of trade and includes a conference and event center, office space and retail and dining establishments. Formerly a dusty parking lot, it opened to great fanfare, culminating three decades of work to restore Pennsylvania Avenue, launched by President John F. Kennedy’s reaction to the street’s aged, dingy storefronts during his inaugural ride from the Capitol to the White House in 1961. The favoritism that auditors said has benefitted Trade Center Management Associates began with the selection process, when a GSA official completed a past performance questionnaire, and “incorrectly stated that revenue under the prior contract exceeded expenses,’’ the report said. The flawed oversight, the auditors said, resulted in the company being paid $147,730 for general and administrative expenses and profit on work primarily done by subcontractors. “As the prime contractor, TCMA performed minimal work on these additional contracts and did not significantly contribute to their performance,’’ the report said. * Follow Jerry Markon on Twitter at @JerryMarkon. WASHINGTON – Today, the U.S. General Services Administrator Dan Tangherlini announced that the agency will be home to a digital government program called 18F, a comprehensive initiative that will accelerate innovation across the federal government. This new digital hub within the General Services Administration (GSA) will house services like the Presidential Innovation Fellows program and GSA’s newly launched digital delivery team. This group of cutting-edge technology innovators and entrepreneurs were recruited from the most innovative corners of industry and the public sector to help drive efficiency, transparency, and savings for government agencies and the American people. By connecting the people, principles, and methodologies of the technology startup world with the government’s leaders in innovation, 18F seeks to improve the way agencies tackle their missions. With the launch of 18F, GSA continues to answer the call for modernized public services. The program is designed to provide the American people the digital services they expect from a 21st century government. Partners with agencies to deliver high quality in-house digital services using the agile methodologies of the top technology startups. Rapidly deploys working prototypes for real users on the web. Services are built with users’ needs as a priority. Offers digital tools and services that result in governmentwide reuse. Transparently builds and integrates digital services. For more information on 18F, visit https://18f.gsa.gov. Washington, DC — Today, the U.S. General Services Administration (GSA) launched a comprehensive service to create a 21st century workplace throughout the federal government. GSA’s Total Workplace initiative provides resources and expertise to help federal agencies reduce their office space, foster collaboration, better manage IT spending, and increase energy efficiency. In a time of shrinking budgets, the initiative is already saving taxpayer dollars and helping customer agencies better serve the American people. The U.S. Departments of Agriculture (USDA), Health and Human Services (HHS), Homeland Security (DHS), and the U.S. Fish and Wildlife Service (FWS) have announced today that they have joined the Total Workplace program and are on their way to realizing significant savings and reducing their real estate footprint. The effort will also help agencies meet Obama Administration goals to cut greenhouse gas emissions and energy costs, including the freeze the federal footprint directive. – At DHS, a reduction of rented space with subleasing, increased teleworking and the adoption of desk sharing, has allowed the agency to begin reducing its real estate footprint, resulting in a projected savings of $55 million in office real estate costs. – USDA’s National Agricultural Statistics Service will reduce its footprint from 43 state offices across the country to 12 regional locations which will create significant savings. Through the efforts to-date, the agency is projected to save more than $700,000 in annual real estate costs. – HHS will improve space efficiencies, reduce the agency’s footprint, and save the federal government more than $15 million in real estate costs over a ten year lease. GSA’s Total Workplace will also allow FWS to eliminate 72,200 square feet, saving taxpayers more than $3 million in annual real estate costs. “Total Workplace gives federal workers access to the technology they need to accomplish their missions not only effectively, but also efficiently. Today’s workforce demands the tools necessary to work anywhere, anytime. Reducing the federal footprint gives agencies appropriate work spaces to get the job done together, while encouraging mobility,” said Charles Hardy, GSA’s Chief Total Workplace Officer. GSA is leading workplace transformation with the renovation of its own headquarters in Washington, DC. GSA was able to collapse a number of leases in the region and bring those employees into the renovated headquarters, allowing it to go from 2,200 to 3,300 employees. By consolidating GSA employees into a single facility, the agency is eliminating $24.4 million in annual lease payments. The renovation also includes high-performance green building initiatives, such as photovoltaic rooftop arrays; an underground cistern to recapture and reuse rainwater/grey water; a green roof; solar hot water panels; high efficiency mechanical systems; and daylight harvesting. For more information, visit gsa.gov/totalworkplace. Carly Rae Jepsen’s song “Call Me, Maybe?” is the most parodied bit of pop culture since Hitler did everything from getting caught in the housing debacle to missing out on a Harley for the gathering in Sturgis, South Dakota. Jepsen’s song has been used to parody the rivalrybetween Michael Phelps and Ryan Lochte among other things. Now it’s being used to mock JPMorgan CEO Jamie Dimon. The Service Employees International Union, or SEIU, has launched a “Call me, Jamie” campaign to highlight a strike by janitors at Chase Tower in Houston. While many a female Wall Street trader might secretly wish that Dimon would call, maybe (“Your stare was holdin’, ripped jeans, skin was showin'”), the janitors in Houston are not smitten by the CEO. One of them, Adriana Vasquez, famously confronted Dimon at acongressional hearing in June, demanding that she and her co-workers earn a living wage. The SEIU claims Dimon told Vasquez, “Call my office,” and so she did. Several times. Vasquez says Dimon never called her back. JPMorgan Chase tells me Vasquez has never called. Ever. The bank says after Dimon’s testimony, JPMorgan representatives asked Vasquez for her number, but they claim she refused to provide it. They also say they followed up with the SEIU. “If she calls us, we will call her back,” says a bank representative. JP Morgan doesn’t hire its janitors directly. The bank is too busy trying to figure out exactly how many billions it lost in complex European hedges. Instead, the bank says the building where Vasquez has worked, Chase Tower, merely has a Chase branch inside. The firm says it has nothing to do with managing the building or contracting out the cleaning crews. Jackeline Stewart, representing the union, insists Vasquez did call the company “more than once” and spoke to an employee in July, who said “she was recording the phone call in order to pass it along.” Vasquez says no one ever asked her for her number after the congressional hearing. The union says some janitors make as little as $9,000 a year. “Jamie Dimon makes $9,000 every 49 minutes.” Unless he’s given it to the London Whale. A three-piece suit and a tie would not have saved Trayvon Martin’s life. Urging black and Latino parents to “not let their children go out wearing hoodies” and saying that the 17 year-old’s hoodie holds as much culpability as the murderer who snuffed out his life is a dangerous line of thought. Trayvon’s hoodie did not end his life — George Zimmerman did. Wearing a hoodie is not a crime, shooting an innocent person is. Trayvon Martin is dead, George Zimmerman walks. Refusing to call racism by its rightful name allows it to continue unchecked. Let’s call this what it is. 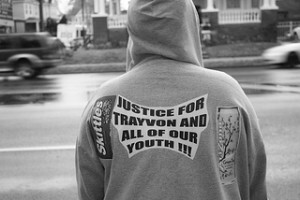 Trayvon was killed because George Zimmerman thought his skin color made him “suspicious” — not his hoodie. Saying that Trayvon was murdered because of his wardrobe choice is akin to saying that he is responsible for George Zimmerman’s decision to aim a gun at Trayvon’s chest and pull the trigger. Trayvon’s attire did not identify him as a threat, or a criminal. Frankly, I’m not surprised at your comments. I’ve met your kind before. Growing up, my parents taught me that being black meant it was not good enough to just be “good enough.” I had to be exceptional, overcompensate with intelligence, charm, and a pleasant appearance to combat society’s preconceived notions of people of color. I excelled academically, honed my interpersonal skills, and dressed professionally at every turn to defy the gross stereotypes that would prove to still cloud others’ view of me. Despite all of this, to people who abide by the false constructs of racism and its byproducts, I was still unworthy of the values this country boasts, whether I wore a suit or sweats. See, Geraldo, it’s not the clothes that matter; it’s the skin that lies underneath that has inherited hundreds of years of legalized discrimination that makes me an object of hate in this country. It’s the same skin that allows you to excuse the murder of an innocent teenager because of he was wearing a hooded sweatshirt. It’s the same skin that makes every person of color a possible threat to society. It’s the same skin that apparently makes some children’s lives worth less than others. It’s not over yet….the new right-wing budget proposal is a prescription for disaster for communities of color–economically, socially, and without regard to the health of our families and communities. It would end Medicaid and Medicare as we know it and cut essential services for seniors, people with disabilities and children while giving greater tax breaks to millionaires. It would repeal the Affordable Care Act and take away the benefits and insurance protections working families are counting on. It would make working families and seniors pay more, while ensuring that special interests like big oil pay less. As we celebrate National Minority Health Month this April–and continue to reflect on the one-year anniversary of the Affordable Care Act–Latinos and African Americans must be ready to raise our voices to protect the healthcare law. Last year’s healthcare reform victory was an important step towards fixing our nation’s broken healthcare system, but the work of SEIU members to deliver the benefits of the law continues every day. Communities of color are disproportionately affected by lack of access to good-quality healthcare. Healthcare reform provides pathways to affordable healthcare for millions of African Americans and Latinos that would otherwise have been blocked from sometimes life-saving medical care. The law is already working for millions of families, especially in communities that need it the most like senior citizens, children, and young adults. As of 2014, the law would deliver expanded benefits to 32 million more Americans. Before the healthcare law was passed, more than 19 million African Americans had no health insurance. Republicans are using healthcare repeal efforts to continue their attack on the middle class and force working families to shoulder more costs–all while giving special treatment to special interests like corporations and big businesses. Workers must unite to combat targeted efforts that weaken America’s hardest workers. One in four Latinos lives in poverty and the poverty rate for African Americans climbed to 25.8 percent in recent years. Thirty percent of Latino children and 40 percent of African American children are born to poor families. As millions of Americans are struggling to make ends meet, congressional Republicans are wasting taxpayer money when they should be working to create jobs. The healthcare law will expand access to preventive care that could mean the difference between life and death for 47 million Latinos (PDF) and 41 African Americans that have been disproportionately affected by chronic diseases and are more likely than other Americans to die from preventable diseases. House Republicans plan to dismantle Medicare and Medicaid, doing away with much-needed access to coverage for seniors. Employer-based insurance provides coverage to 65 percent of Americans, but record-high levels of unemployment in both African American and Latino communities eliminate this important pathway to coverage. The black unemployment rate is greater than 20 percent in at least five major U.S. cities. There are popular insurance protections that will help reduce health and healthcare disparities in communities of color, such as: children under 18 can no longer be denied coverage for pre-existing conditions like diabetes and asthma. Young adults under the age of 26 can remain under their parents’ coverage. Lifetime caps on insurance coverage are a thing of the past. Free preventive care for seniors. The end of discrimination based upon age, race, ethnicity or gender. The Affordable Care Act will deliver care to more than 9 million Latinos, the fastest-growing segment of the workforce, who currently rely on an emergency room for their care. Our country’s future depends on a healthy, vibrant workforce to support our economy. Funding for Community Health Centers was expanded under the healthcare law, which will provide more than $10 billion in funding to community health centers – critical centers of care and jobs in underserved, urban and rural minority communities. Health centers serve an estimated one in three low-income people and one in four low-income minority residents. The new law expands initiatives to increase racial and ethnic diversity in healthcare professions. It strengthens cultural competency training for all health care providers to improve communications between providers and patients, particularly in Latino communities where there are language barriers. Learn more about how the Affordable Care Act is helping protect communities of color here.